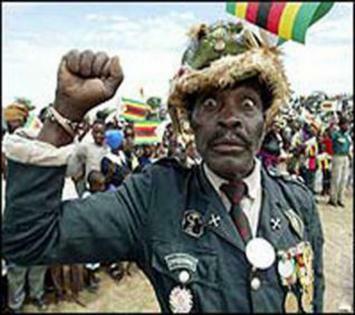 A suspected ZANU PF aligned war veteran has been caught on camera invading a farm in Triangle, in a development that has seen some Zimbabweans threatening to rope in the British government who have promised Zimbabwe aid. New Zimbabwe??!! My mom and Shane getting hassled by people wanting to take away their farm. Nothing being done to help them. This happened this morning. 😞 Denise Warth Shane Warth Matthew Dalton Justin Dalton Mitchell Dalton Tyrone WarthDetails: Shane and Denise Warth at Mpapa Farm outside Triangle in the lowveld. Date of video is 4 January 2018. Mr Solicitor Mutendi from Masvingo is trying to take the farm.